Natural Burial is a simple, meaningful, and environmentally-friendly method of disposition, which allows individuals to have death rituals that mirror their natural lifestyle. 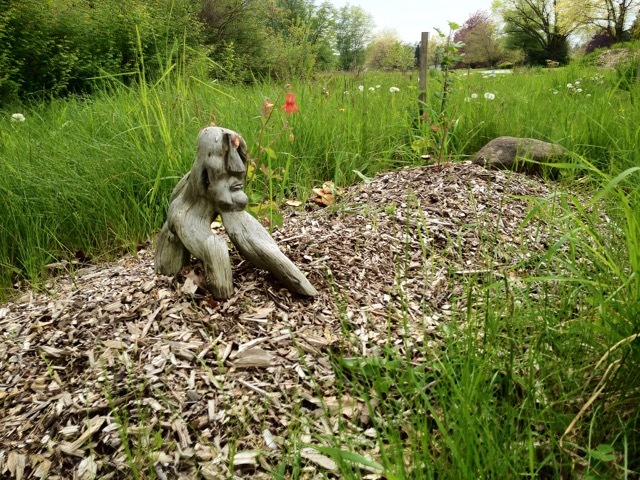 Learn why people are choosing natural burial during this joint presentation and Q & A panel with representatives from several Green Burial Council-certified cemeteries in the Pacific Northwest. The cemeteries they operate are uniquely different, from historic River View Cemetery in the heart of Portland, to White Eagle Memorial Preserve in the Columbia River Gorge, to Greenacres Memorial Park in Ferndale, WA outside of Bellingham. Jodie, Brian, and David, all directors of Green Burial Council-certified cemeteries in the Pacific Northwest, are leaders in bringing natural burial to this area and passionate about its ecological benefits and the unique opportunities it presents for crafting relevant and meaningful end of life rituals. Jodie Buller is the Cemetery Manager at White Eagle Memorial Preserve at Ekone Ranch, a Conservation Burial Ground outside Goldendale, WA. White Eagle works with funeral homes and with families directly, to offer meaningful burials in 20 acres of ponderosa and oak forest wilderness. Jodie walks people through the process of deciding their own end of life plans, and handling the logistics involved in burying loved ones. She is a celebrant and hosts burial receptions at the White Eagle cabin in the Ekone Ranch valley. Brian Flowers is a funeral director, the General Manager, and Green Burial Coordinator for Moles Farewell Tributes & Greenacres Memorial Park in Ferndale, WA where he designed and developed The Meadow Natural Burial Ground. He is also the Past President of The Green Burial Council, a non-profit engaged in eco-certification of green burial funeral homes, products and cemeteries. David Noble has been serving Oregon families for 42 years as a funeral director, embalmer, cemetery owner, and currently, as Executive Director of River View Cemetery in Portland. Four years ago, River View began offering the option of burial without embalming, without an outer burial container, or even without a casket, throughout the entire cemetery. Natural burial now constitutes over 25% of River View’s burials. David is an avid supporter of green burials, as well as home funerals, and has made presentations on the merits of green burial at numerous national and local conventions of funeral directors and cemetery owners/operators. This entry was posted in Death Care and Bereavement, News, Presentation. Bookmark the permalink.